Root canals have come a long way in recent years, and there’s no need to fear them or delay seeking treatment. Dr. Greg Larsen has helped hundreds of men and women find relief from the pain of dental infections, and he has the skills and experience needed to perform root canals with the latest dental technology. If you suffer from ongoing tooth pain, schedule an appointment at the Sandy, Utah, office to find out if a root canal could bring relief and restore your tooth to proper function. A root canal is a dental procedure performed to save infected teeth. To better understand a root canal, it’s helpful to learn about the composition of a human tooth. 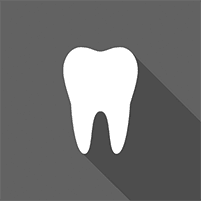 The outermost layer of your teeth is made of a hard tissue called enamel. Just beneath that is another layer of hard tissue called dentin. Beyond your dentin is a pulp-filled chamber that extends down into the root of each tooth. This pulp is soft tissue, and it contains the nerve, blood vessels, and connective tissues needed to develop healthy teeth. Once your teeth develop fully, the pulp is no longer necessary for their structure. That’s why a root canal — a procedure in which Dr. Larsen carefully removes the pulp and restores the tooth with an artificial crown — is possible. If you experience an ongoing toothache, sensitivity to heat or cold, tooth discoloration, swelling, or tenderness while chewing, you should schedule a dental exam right away. An infected tooth can eventually lead to an abscess without treatment, which can be incredibly painful. The process begins with a thorough dental exam to determine the cause of your symptoms. If a root canal is necessary, Dr. Larsen provides local anesthesia to help you remain comfortable during the procedure. A dental dam may be used to isolate the infected tooth. Next, Dr. Larsen creates a tiny opening in the crown of your tooth. Extremely small instruments called files allow him to carefully clean and shape the inner portions of your tooth canals, removing all of the infected pulp. Once Dr. Larsen removes the infected pulp from your tooth, he washes out the space. A special material known as gutta-percha is cemented into your tooth canals, filling the space. A temporary filling seals the access opening. You may receive a temporary crown to wear until your permanent crown arrives from the lab. Dr. Larsen checks the crown for proper fit before cementing it into place. Once the crown is in position, your root canal is complete. Dr. Larsen welcomes the opportunity to educate his patients about dental care. To find out if a root canal is the right treatment for your dental pain, schedule an appointment with Dr. Larsen today.